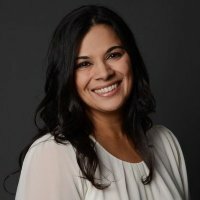 Jessie Adcock is in the midst of preparing Vancouver’s application for the Canadian Smart City Challenge, which is yet another step for one of Canada’s first municipal chief technology officers (CTO) in digitally transforming the city she loves. The program, which was first introduced by Infrastructure Canada in the latest federal budget, is looking for municipalities with the best plans on how to use technology and data to improve the livability of its city and residents. It will award one grand prize of $50 million to the winning city, $10 million to two mid-sized communities, and $5 million to a small community, as well as $5 million to an Indigenous community. Jessie Adcock, Vancouver’s first Chief Technology Officer. The first round is set to launch sometime now in Fall 2017, with two additional rounds planned for later. Adcock looks at this as a major opportunity for Vancouver to prove how ahead of the digital curve it really is, and keep the momentum going. “The contest is an opportunity for cities in Canada to earn prize money that will help us invest in tech that will solve large scale problems, and we’re really excited for it. We’re trying to get organized and identify what our problems are and how tech can help us solve them, and we’re looking forward to seeing what happens with this,” she expands. The city started creating a four-year digital strategy in 2012 that was the first of its kind in Canada, bringing in Adcock as its first-ever chief digital officer (CDO) to improve citizen services, build a robust connected infrastructure, collaborate with the city’s local business sector, and use technology to enhance how city staff do their job. After combining the CDO directives with the CIO portfolio in 2016, Adcock is now also Vancouver’s first CTO. In charge of the digitization of both the government itself (internal processes) as well as the public services that citizens of the city use, she has been busy transforming the city in a way that is fit for the future. Her mandate is digital transformation, but that’s easier said than done. 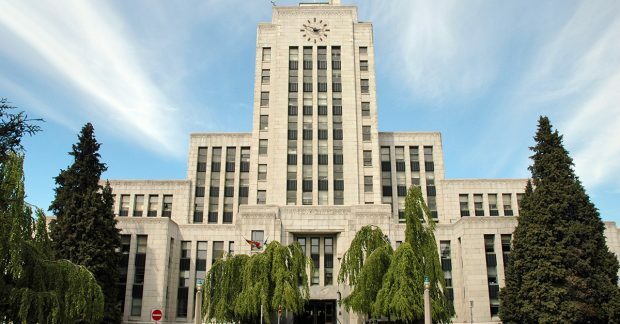 Adcock needs to make sure that any changes being made are decisions that will better serve Vancouver residents, while also balancing the need for more efficient delivery of internal services. The innovation with the biggest impact on Adcock has been the rise of smartphones and the growth of the mobility-first mentality. “Whether it’s our parking enforcement officers moving to phones or tablets, building inspectors ditching their clipboards and moving to phones, or the fact that more than half of the services that we now deliver are designed for mobile devices, we have seen that mobility has completely transformed both what our staff are doing as well as what our residents are doing, and how our residents and businesses are engaging with us,” Adcock explains. Mobility has led to other evolutions too, like Vancouver’s city app, for example, which has grown beyond a standard service request-type app into a very useful tool for people who are working in the city, living in the city, or just visiting, to get around and explore the city, she adds. “It’s changed how we design our app and website interfaces, and just how we think about the technologies that we deploy in general. We’re seeing adoption continue to grow so I think mobility is key and will continue to be key,” she says. 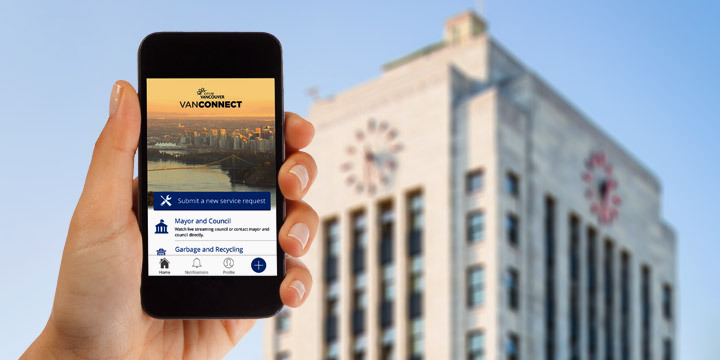 Vancouver city app, via the City of Vancouver website. 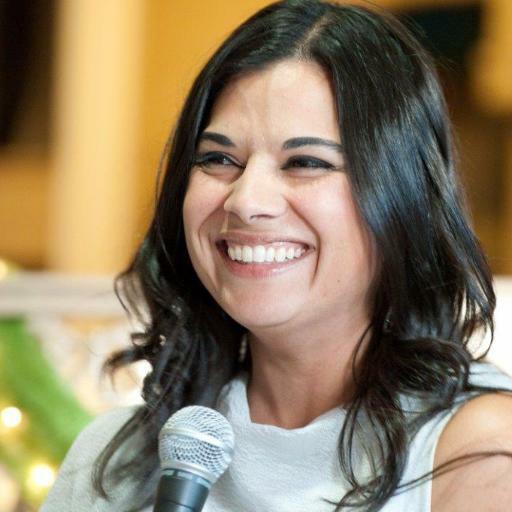 Adcock has spent much of her career in the private sector, holding various senior manager positions at financial institution HSBC in the nine years prior to her CDO and CTO appointments. She points out that whether in the private or public sector, cultural change is the number one hindrance to digital transformation. She says that justifying a complete digital transformation within the public arena can be a challenge as well, given that it is not necessarily in the same competitive environment as a business would be. “There’s a business case for digital transformation that’s very obvious for companies concerned with profits and losses, and it’s easier to rationalize those investments when you’re in that competitive environment. But in the public sector, we’re not selling products, we’re delivering services that we have to provide because that’s what our citizens want; it’s what they’re asking for. So the rationale for transforming government agencies is less clear and it becomes a much lengthier discussion to convince everyone to get on board,” Adcock adds. City Hall, via the City of Vancouver website. Vancouver was one of the first Canadian cities to publish a digital strategy and hire a CDO and CTO, and it is now focused on maintaining its head start. “We’ve been at [digital transformation] for quite a while, so we’re starting to get into the deeper enterprise issues that will enable that next generation of IoT and smart cities. We’re really starting to look at data and analytics and enterprise architecture at a deeper level so that when we get these new emerging tech, we have an infrastructure in which we can deploy them in a faster manner than what is the case today,” Adcock explains. She adds that Vancouver is right at the front of the pack and is beginning to see a return on its digital strategy investments. “We’ve done our silo busting and we’ve created awareness for the importance of digital technologies. We’re a digital-first and mobile first organization now with a heavy emphasis on data, multi-mode delivery teams, alignment between our channels, and fairly robust digital analytics, so we’re there in terms of being able to leverage the next stage of technologies to improve even further,” Adcock continues. Vancouver is also part of the 100 Resilient Cities project started by the Rockefeller Foundation in 2013 to help cities across the globe become more resilient in the face of modern social and economic challenges. The program funds a chief resilience officer (CRO) in chosen cities for two years and gives them access to almost $200 million in funding for research, as well as a network of CROs worldwide for sharing advice and building relationships. The city was chosen alongside Toronto, Calgary, and Montreal to take part in this, and Adcock says she has been actively working with Vancouver’s CRO, Kate McPherson, for ways to help each other and collaborate on projects.